The history of the Bermuda Regiment is set to be on parade at the Masterworks Museum of Bermuda Art as part of the armed service’s golden anniversary. 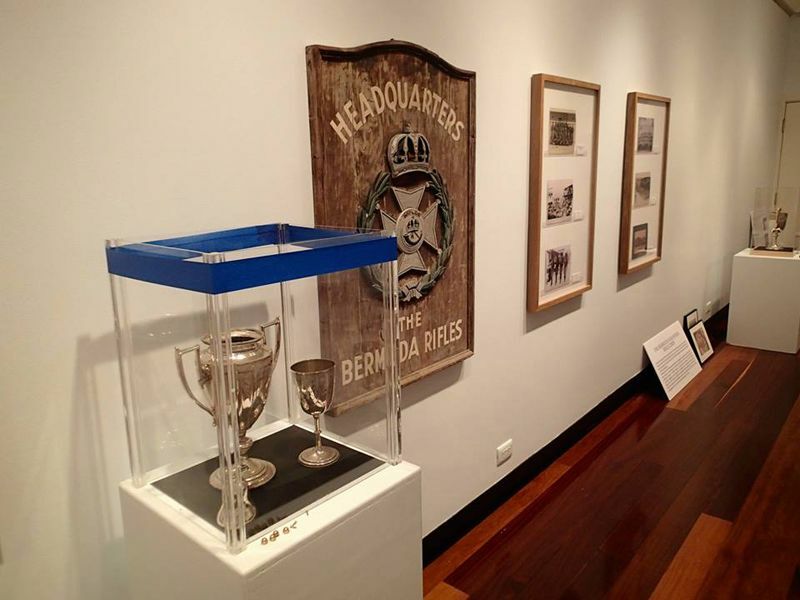 And the exhibition features some rarely-seen exhibits connected to its predecessor regiments, the Bermuda Militia Artillery [BMA] and the Bermuda Volunteer Rifle Corps [BVRC], both of which saw service in two World Wars. The exhibition will also showcase historic paintings with a military theme, photographs, news cuttings and military equipment – including a sewing kit carried by a Bermuda soldier in the BRVC throughout World War I. The Bermuda Regiment 50th Anniversary Committee’s Conchita Ming said: “I thought this would be a wonderful way of showing the public how the Regiment has developed over the years and tell the story of its two predecessor regiments, which were segregated and came together in 1965. 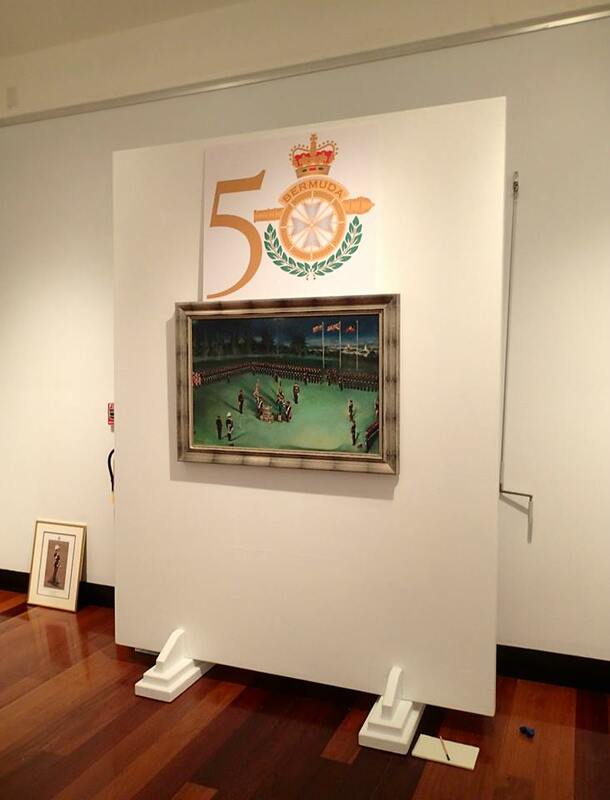 Other exhibits include Regimental silver, vintage military drums and artillery pieces from Fort St Catherine in St George’s and a never-before diorama of model soldiers painted in the uniforms of Island soldiers which is part of the Masterworks collection, as well as the Bermuda Rifles Headquarters sign. Dancer and choreographer Ms Ming added: “This is an idea I thought would be good because I’m also a board member of Masterworks. Committee member Lt Col William White, a former Regiment CO, added that some exhibits focus on the earliest militias, dating from the 1600s, right up to the modern military. And he added the Bermuda Regiment was an important symbol as it became one of the first national entities to be desegregated when the Bermuda Rifles, the BVRC’s final name, merged with the mostly-black BMA in 1965. The exhibition, in Masterworks’ Rick Faries Gallery, was sponsored by retired Regiment Major Wendell Hollis, the HCS Group and Gibbons Company. The exhibition at the Botanical Gardens museum opens to the public on Saturday [June 27] and will be open Monday to Saturday, 10am to 5pm and on Sundays from 11am to 4.30pm until Wednesday, July 29. Were You In The Bermuda Regiment In 1965?